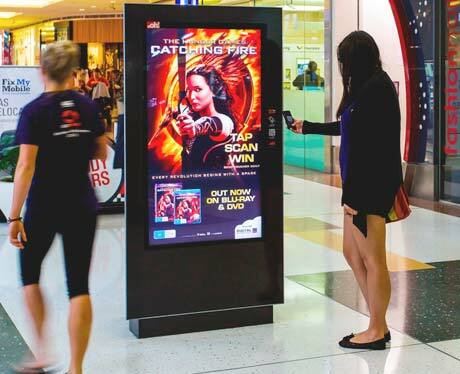 The DVD release of the latest instalment of The Hunger Games movie franchise is being promoted in shopping centres in Australia via digital media panels that “catch fire” when a shopper uses their mobile phone to access a game based on the movie. The campaign is being run by Ooh! Media for cinema chain Village Roadshow across 77 digital and static panels in Westfield shopping centres across the country’s eastern seaboard, as well as on 142 static panels nationally.